Months after Russia spectacularly entered the Syrian conflict, the Islamic State is still thumbing its nose at both Moscow and the Assad regime in murderous fashion. 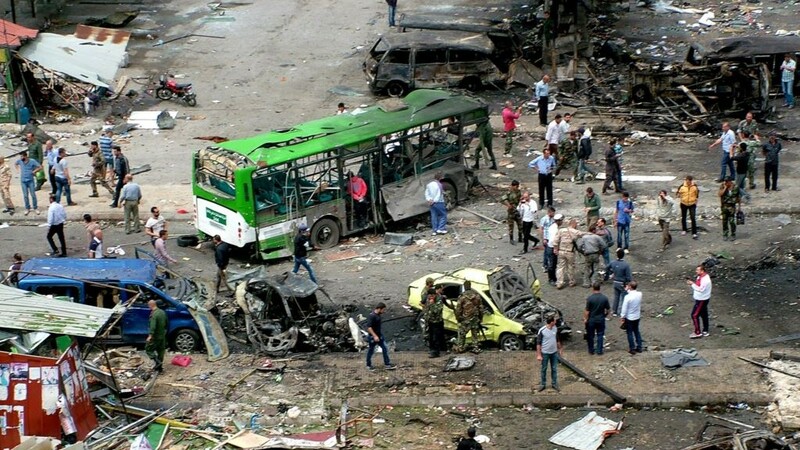 On May 23, the group detonated between seven and nine car and suicide bombs in the coastal cities of Jableh and Tartous, killing about 150 people and wounding more than 225. The targets included bus stations, electricity stations, and a national hospital. The co-ordinated attacks, the first of their kind in Assad’s heartland provinces on the Mediterranean, conveyed a deadly message: despite the loss of Palmyra in central Syria in late March, despite the offensive threatening the IS-held city of Fallujah in Iraq, IS can still strike at the core of the Assad regime. That message has far wider implications. Since Russia began its aerial intervention in September 2015, the Assad regime and Moscow — along with Iran and Hezbollah — have been trying to present strength against their principal opponents, the rebel factions who have challenged Damascus since 2011, long before IS became one of their main enemies. Yet despite thousands of bombings and ground offensives across the country, the Assad-Russia-Iran-Hezbollah campaign has yet to make a significant breakthrough. And now the IS bombings have revived the fear that prompted the Russian intervention in the first place: that Assad and the Syrian military can’t even protect what remains of the Syrian population in regime-controlled areas. Only two months before these stunning attacks, the Assad regime and Russia appeared to have turned a corner in Syria’s five-year conflict. While the rebels had not been defeated, their advances had been contained, and some territory had been reclaimed from them. The Syrian military, alongside Hezbollah and Iranian-led units, had won a symbolic victory with the recapture of Palmyra and its Roman ruins from IS. Russian President Vladimir Putin sought an endgame. With the defence line apparently secured from Damascus to Homs to Latakia, Putin announced a withdrawal of some warplanes. Moscow would concentrate on a political settlement that would secure the regime, if not Assad himelf, through talks in Geneva. Meanwhile, its remaining forces could attack IS and the jihadists of Jabhat al-Nusra, both of which were excluded from a February 27 “cessation of hostilities” brokered by Russia and the US. But Moscow soon faced an unexpected challenge. Perhaps buoyed by the propaganda around “victory” in Palmyra, Assad said he would not leave power in the foreseeable future. Even before the Geneva talks reconvened, he rejected a transitional governing authority, the centrepiece of international proposals since 2012. Assad’s rejection, which effectively consigned the Geneva process to oblivion, was soon followed by worse news from the battlefield. Citing continued attacks by the regime, rebels and Jabhat al-Nusra struck back near Aleppo city. Throughout April, they seized much of the territory lost since September, including towns on the Aleppo-to-Damascus highway. Equally important, they inflicted significant casualties on Iran’s Revolutionary Guards and Iranian-led Iraqi and Afghan militia, who had taken over the fight from Assad around Syria’s largest city. Russian and Syrian warplanes responded with intense bombing, reducing the “cessation of hostilities” to a diplomatic farce. They killed hundreds of civilians in and near Aleppo and destroyed hospitals and other vital facilities, but failed to regain the initiative on the ground. While the pro-Assad forces, including the Iranians, suffered more losses, the rebels and Jabhat al-Nusra captured villages in Hama and northern Homs Provinces. Meanwhile, IS was causing further trouble elsewhere. Striking back near Palmyra, it took two major gas fields, tightening its grip on Syria’s energy production. In the east of the country, it attacked Assad forces in Deir ez-Zor city, briefly holding key positions as both sides suffered heavy casualties. The pro-Assad forces finally got their first good news since Palmyra when the Syrian military and Hezbollah seized part of the East Ghouta area near Damascus. 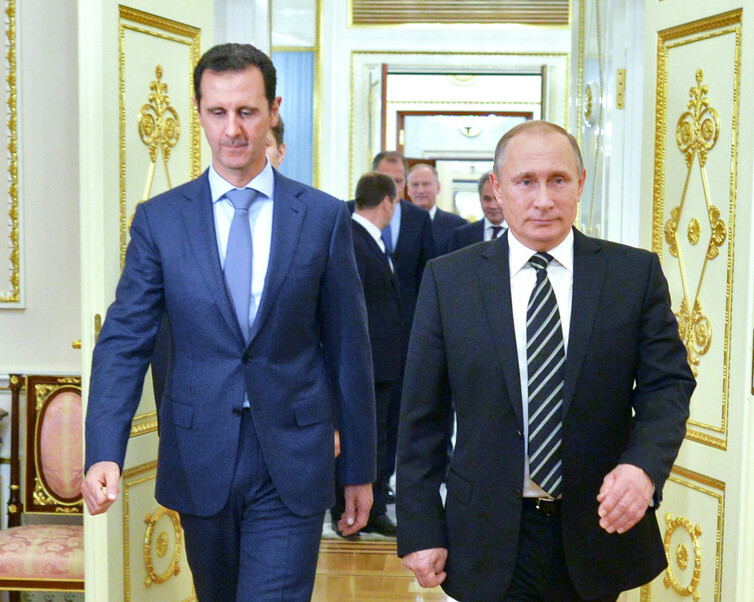 Yet paradoxically, even this victory laid bare the steep obstacles in the way of Moscow and the Assad regime. The East Ghouta advance was only possible because the rebels’ defenses were weakened by in-fighting, and because Hezbollah redeployed all its fighters from fronts in northern and central Syria. While Assad’s supporters celebrated, the lesson was clear: the best hope for the regime is to secure its core area, pushing back the rebels near Damascus and maintaining the line to Homs and the Mediterranean. Any idea that it can regain control of all of Syria, or even most of it, is an illusion. The Assad regime clumsily tried to leverage the attacks for political advantage, blaming the leading rebel faction Ahrar al-Sham for the attacks, only for IS to claim responsibility. The Kremlin cautiously said the bombings showed the need for “vigorous steps to continue the negotiation process” – even though that process is currently dormant. IS is not going to take over Latakia and Tartous Provinces, and nor are Syria’s rebels. But that’s not the point. This conflict is no longer about different sides trying to take over each other’s strongholds; it’s a war of attrition, with opponents wearing each other down until they give up proclamations of legitimacy and hopes of eventual victory. The massive intervention by Russia, Iran, and Hezbzollah was meant to speed up that attrition, forcing the Syrian opposition and rebels into a capitulation at the negotiating table. Yet despite the deaths of thousands of civilians, their offensive has failed, both on the battlefield and in the diplomatic arena. All the while, Assad continues his metamorphosis into a ghostly Wizard of Oz-like figure. His military is now dependent on foreign forces, and his stay in office is sustained by the grudging acceptance of Russia and the more forthright backing of Iran. And with IS now targeting sites a short distance from his ancestral home in Latakia Province, he will struggle to maintain his self-professed image of protector of “his” Syrian people.